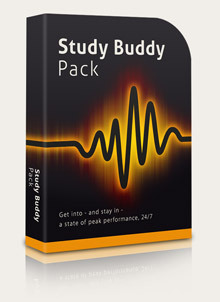 Preparing for exams and getting to the top of the class has never been easier! EinsteinFactor - Harness the power of your brain to set your grey matter on fire! MindEnhance - Optimize your mind, increase your stamina and be ready for anything! BrainSharp - Give your fuzzy head a thorough cleaning! FocusBoost - Intensify your life with a blast of focused concentration! EnergyPeak - Supercharge your life with a vigorous and invigorating energy boost! MP3 version just $49.95 - save over $25! Buy the MP3 version! Instant MP3 delivery.